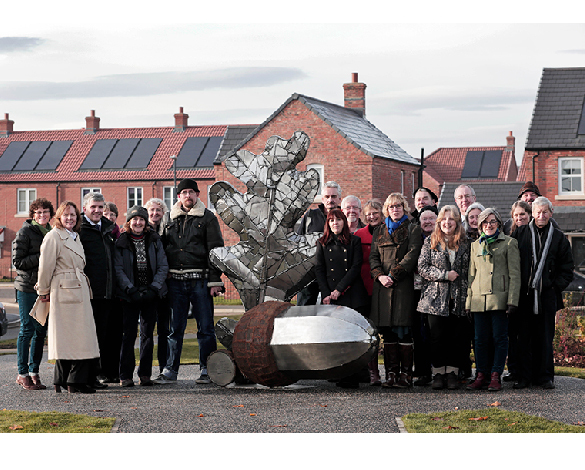 Chrysalis Arts are working with Mulberry Homes to deliver a public art programme for Sowerby Gateway, a new mixed development being built near the Market Town of Thirsk including; housing, a new school, a neighbourhood centre, leisure, retail and commercial premises. 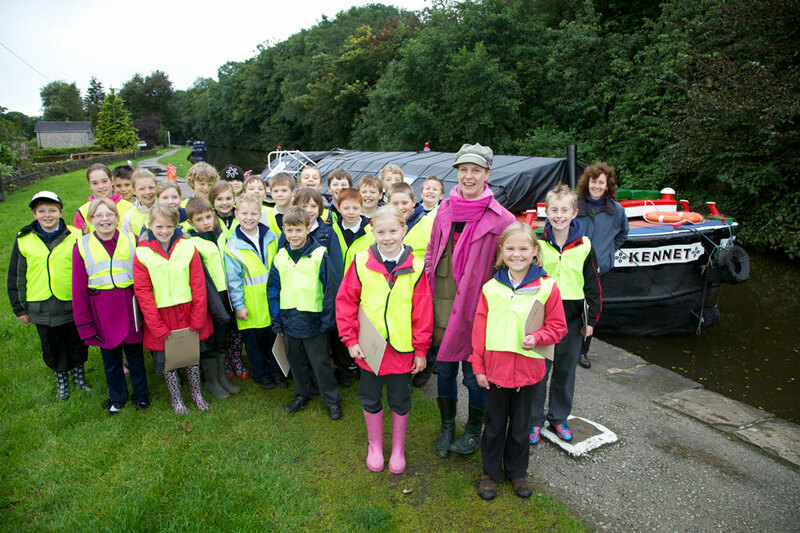 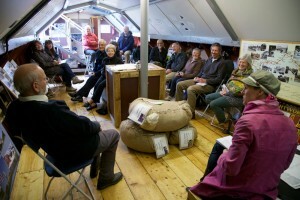 The art project has the support of Hambleton District Council and Arts Council England. 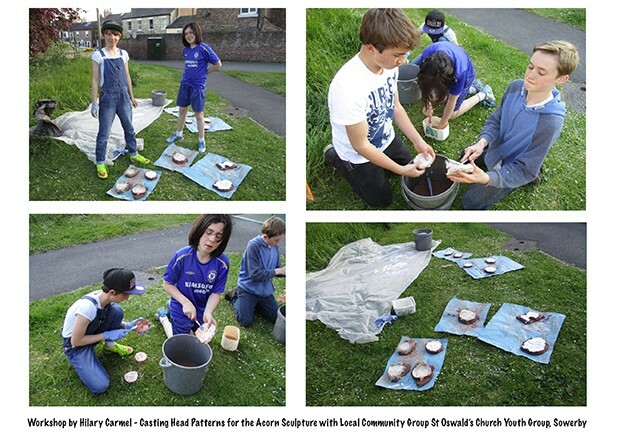 Chrysalis Arts has put together a team of artists to create a series of high quality artworks for Sowerby Gateway on the theme of ‘Sustainability’ and the artists have been exploring this concept in a variety of ways using Earth – Air – Fire – Water – Culture as symbols to represent the theme which collectively form Circles of Sustainability. 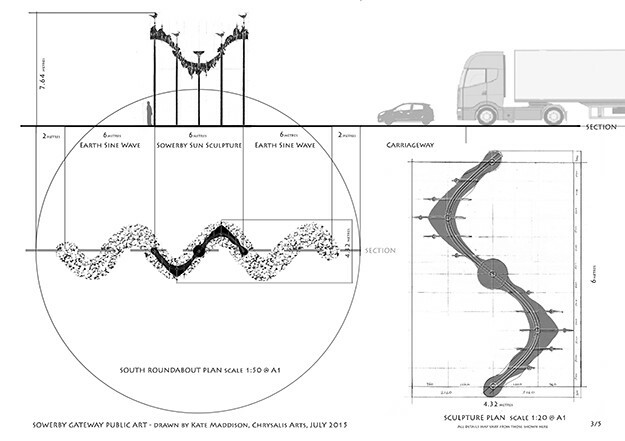 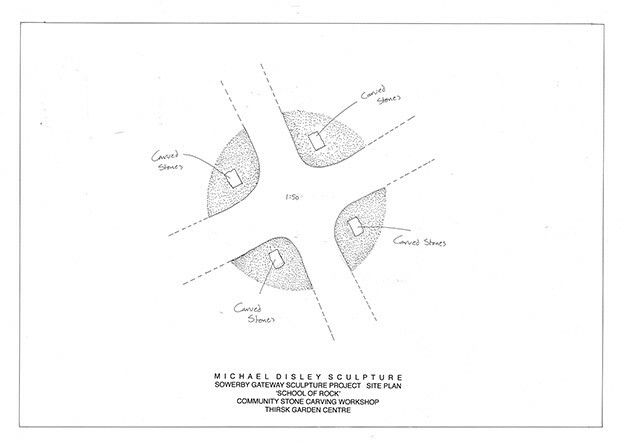 Lead Artist Kate Maddison designed Sowerby Sun and Spiral Time – Sowerby Clock and as proposals for feature artworks on two new roundabouts. 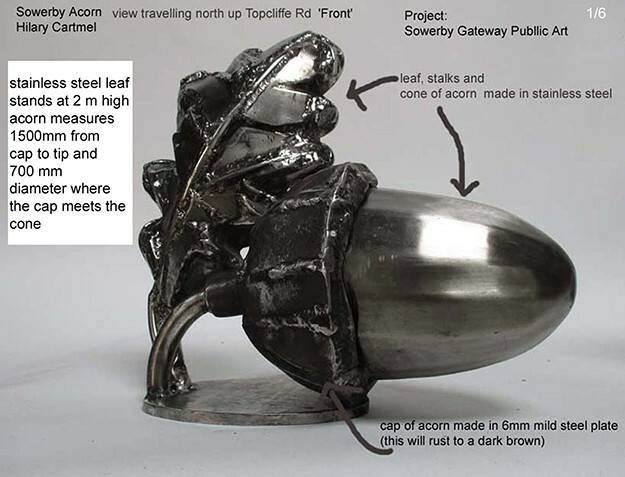 Kate is collaborating with renowned artist blacksmith Brian Russell and his team from Little Newsham Forge to make the sculptures. 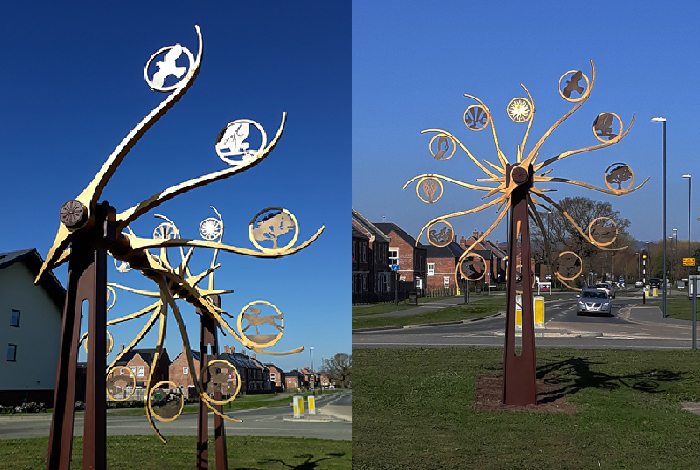 Spiral Time – Sowerby Clock has been installed on the roundabout on Topcliffe Road by Aldi and Premier Inn. 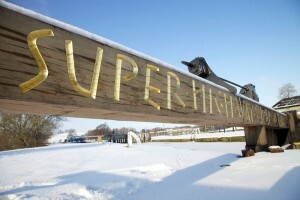 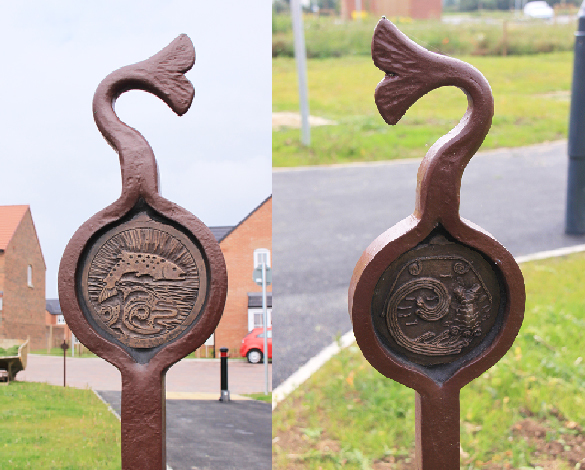 It is the latest addition to the growing collection of public art at Sowerby Gateway, the mixed development near Thirsk, North Yorkshire. The sculpture represents a fragment of time at Sowerby moving forward in a cyclical passage to the future, it’s form echoes the mechanism of a clock. 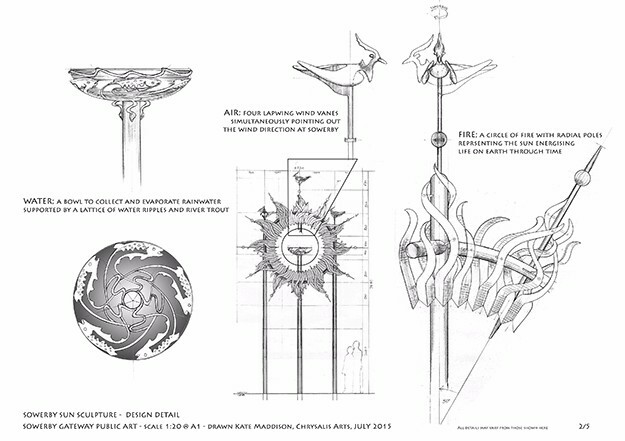 Twelve hand forged steel arms are arranged in a spiral around a central spine. 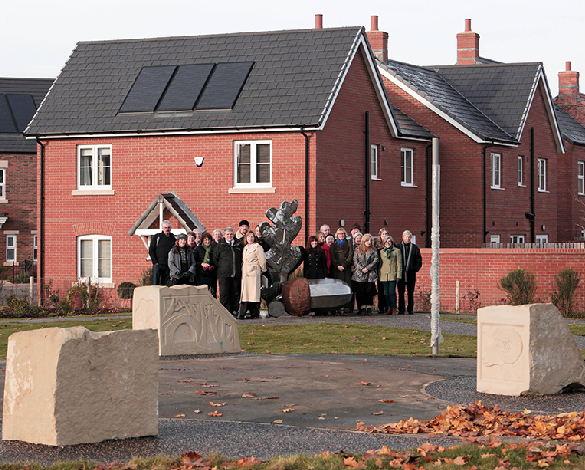 They support twelve discs positioned like the numbers on a clock face when seen aligned on approach along Topcliffe Road. 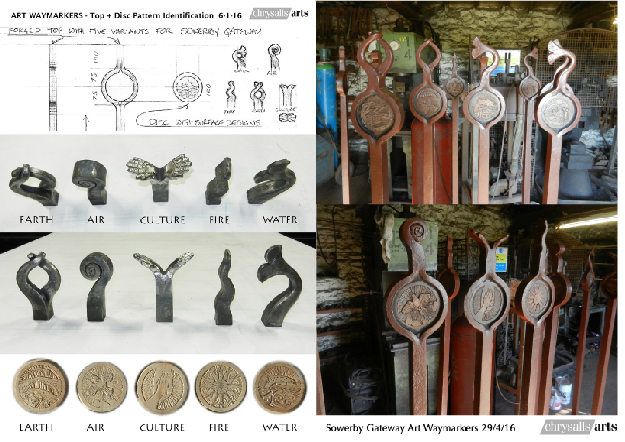 The disc images have been developed from the existing image resource created in community workshop sessions depicting sustainability and local heritage. 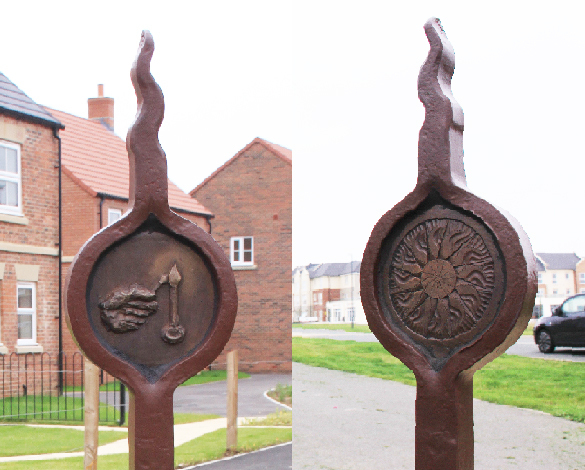 The Sowerby Sun represents circles of Earth, Air, Fire, Water and seen on approach from Topcliffe road, the Fire circle appears like the sun, with a Water fish bowl at its centre and Air represented as four bird wind vanes arranged in an interlocking circle. 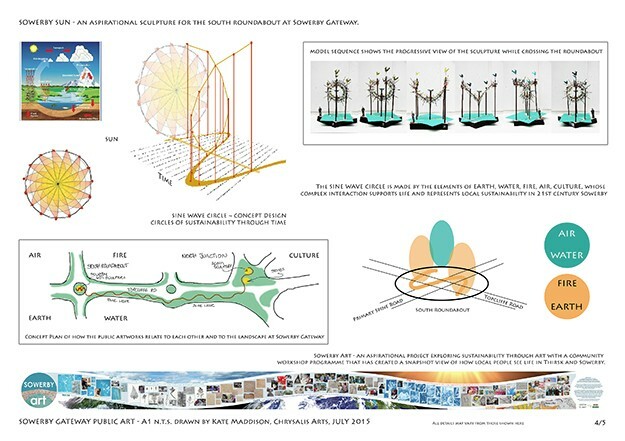 Viewed from the roundabout, the sculpture unfurls into a spiral with twelve radial poles with gold celestial spheres marking the cyclical passage of time. 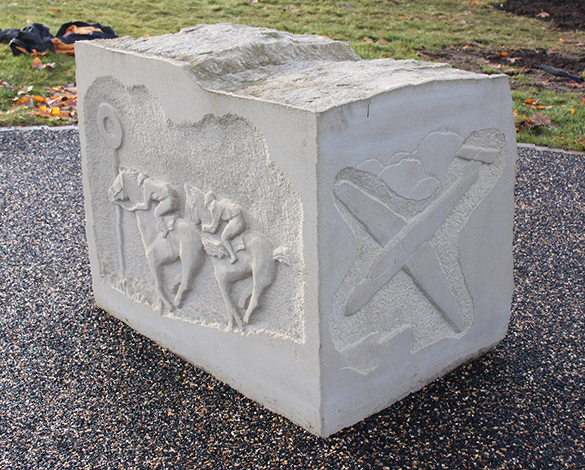 Earth is represented by a sine wave at the base of the spiral which continues beyond the sculpture roundabout, along Topcliffe road possibly in the form of verge planting until it reaches the Acorn Sculpture and Four Carved Boulder Stones representing circles of Culture. The Acorn Sculpture “Cherish Life” has been sited at North Junction, a new grassed area on Topcliffe Road that marks the transition from Sowerby to Sowerby Gateway. 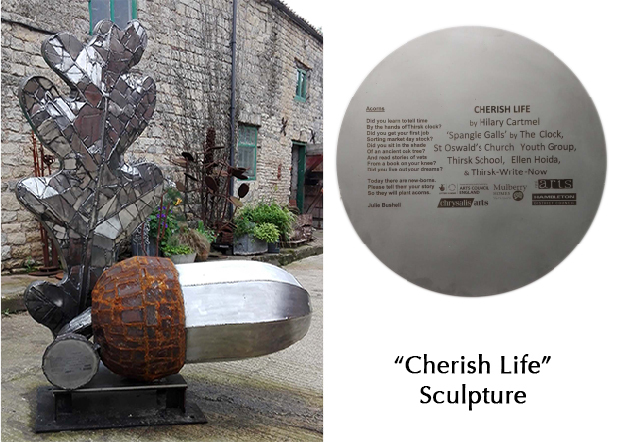 Sculptor Hilary Cartmel consulted with local groups to generate a narrative of ideas about local sustainability and this led to the acorn sculpture ‘Cherish Life’ which includes an oak leaf with galls. 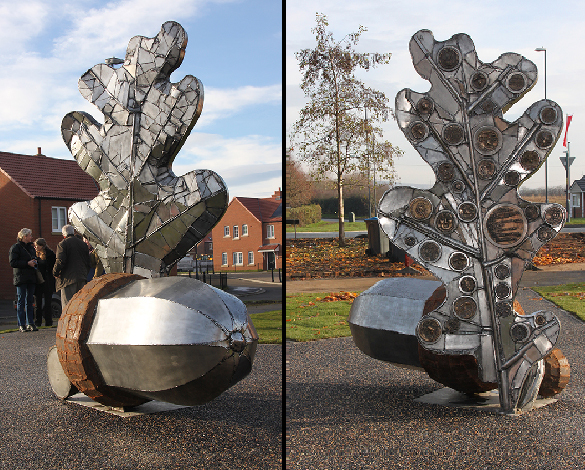 She ran a series of workshops with local youth groups to create the round patterns for casting the galls in bronze which are mounted on one side of the stainless steel oak leaf. 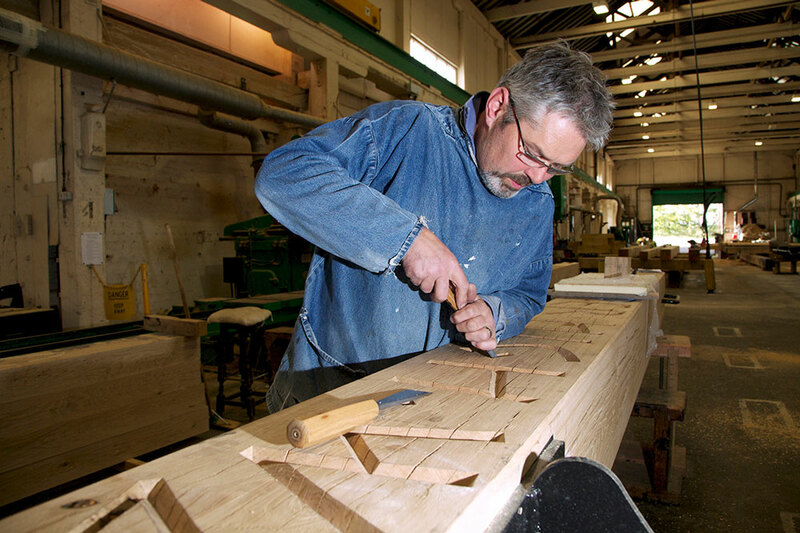 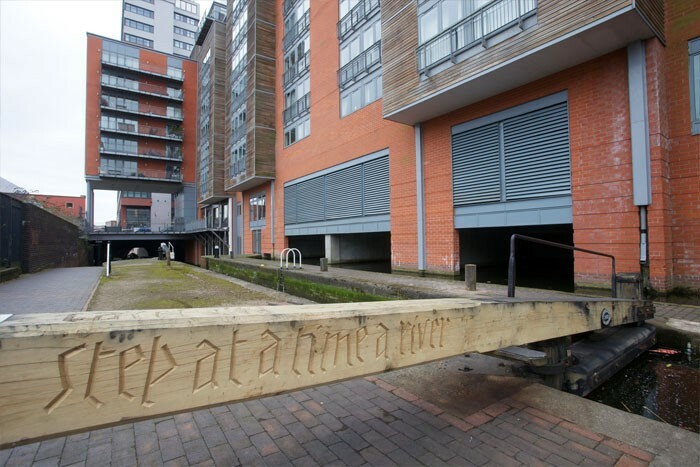 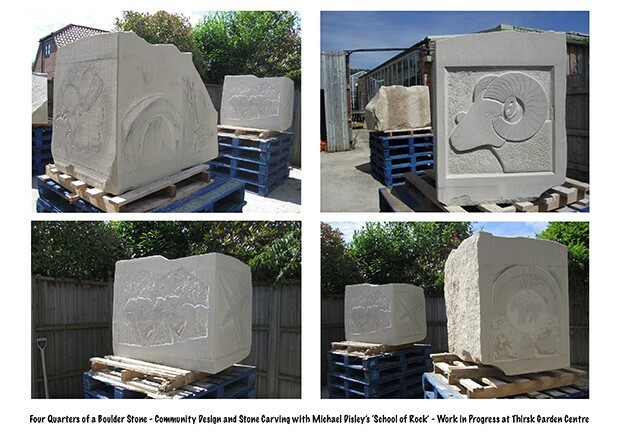 Stone carver Michael Disley has developed Four Carved Boulder Stones and led a ‘School of Rock’ where local people carved their own designs relating to local heritage and the sustainability theme into the blocks of Yorkshire sandstone. 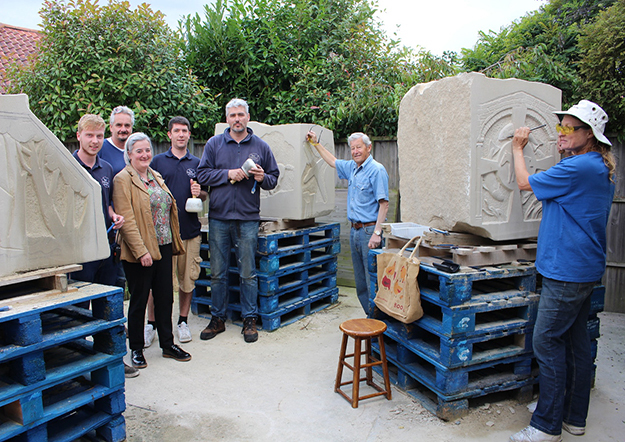 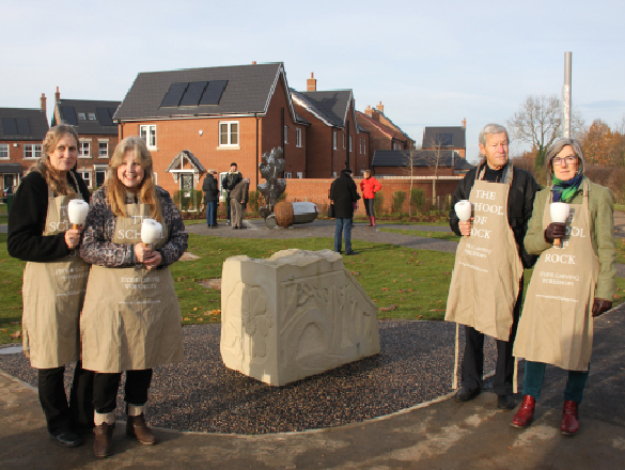 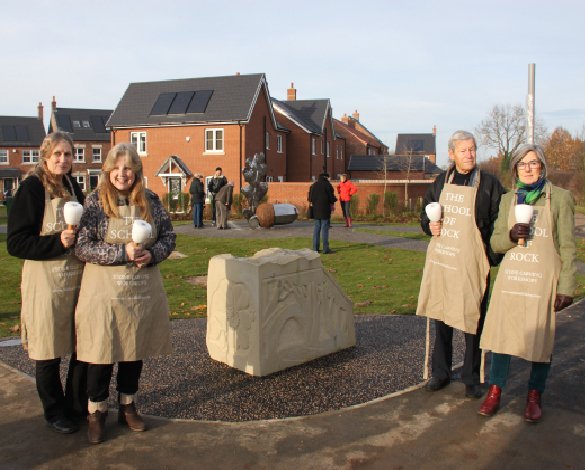 Community Stone Carving – This was a fantastic opportunity for local novice carvers to learn from professional stone carver Michael Disley and create a permanent piece of public art. 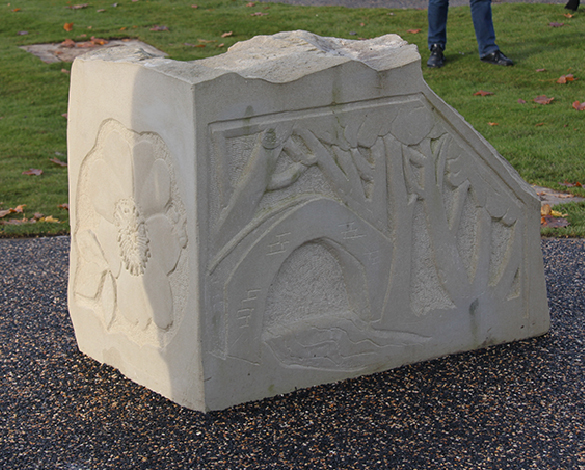 The designs for the four boulder stones represent different aspects of Sowerby and Thirsk and its surrounding landscape and are by local people who came forward after the carving taster workshop in May 2015. 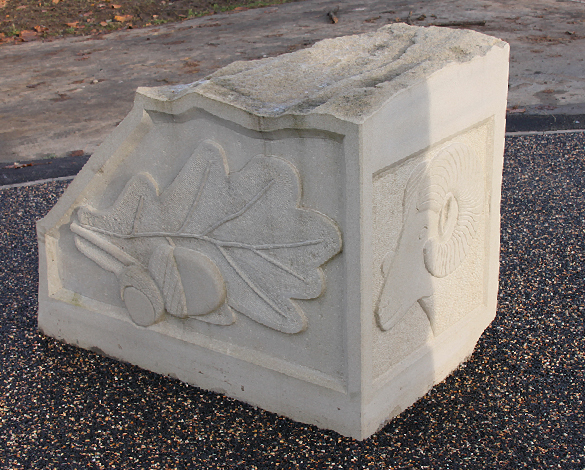 The carving work took place at Thirsk Garden Centre and the finished boulders are installed at the north junction by the cycle and footpaths near the acorn sculpture. 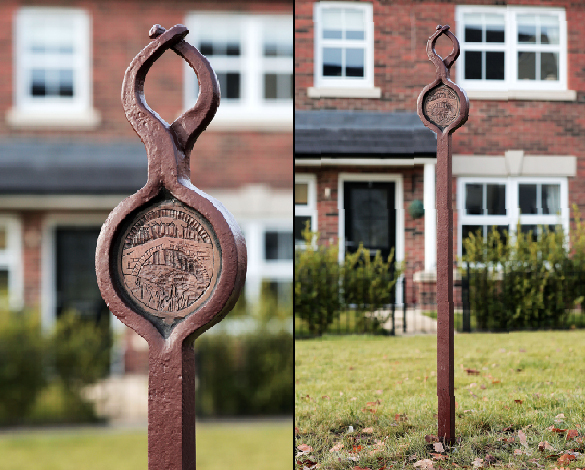 Art Waymarkers to signpost pedestrian routes through Sowerby have been designed and made in a collaboration between; artist Kate Maddison, Thirsk School Pupils, Little Newshm Forge and McArt Studio. 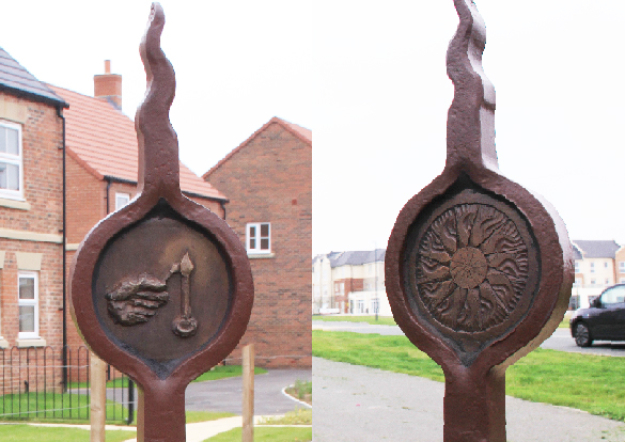 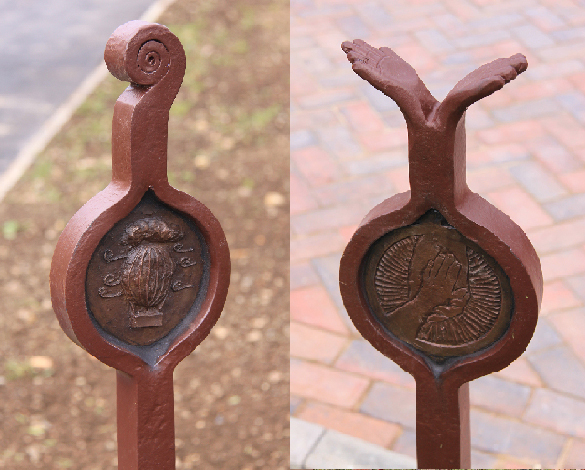 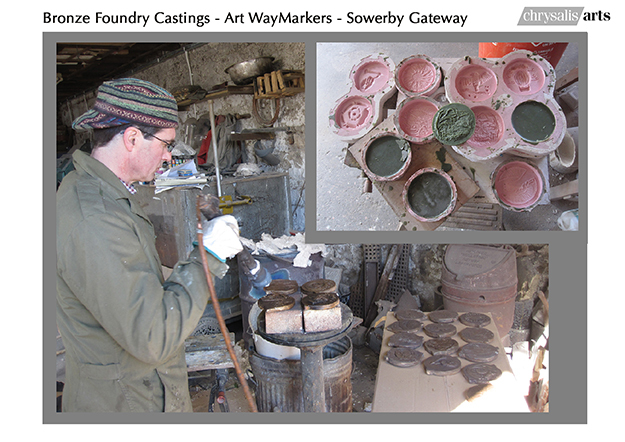 The Art Waymarkers are a unique feature of Sowerby Gateway, each displaying imagery that relates to the five elements of the sustainability theme and the community involvement process. 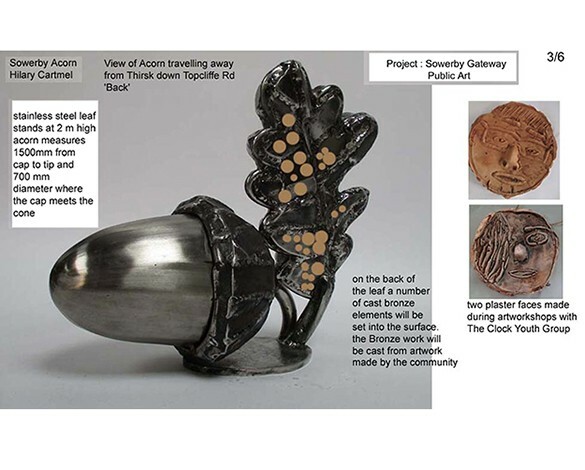 A selection of original print, collage, stone carving and wire work made by members of the community as part of the Sowerby Art Project was on display at the Courthouse from Friday 10th July to Wednesday 22nd July 2015, the artwork explored local sustainability and presented a snapshot view of how local people see Thirsk and Sowerby. 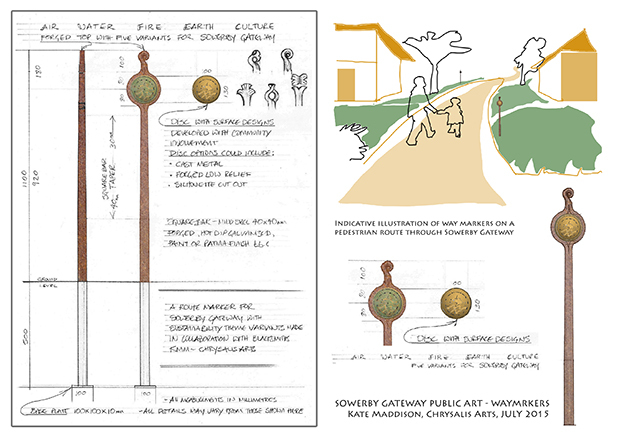 A Public Consultation on Public Art for Sowerby Gateway took place at Thirsk and Sowerby Town Hall on Wednesday 22nd July providing an opportunity to view the proposed designs for the public art at Sowerby Gateway. The communities of Sowerby and Thirsk have become involved through a workshop programme coordinated by local arts organisation Rural Arts. 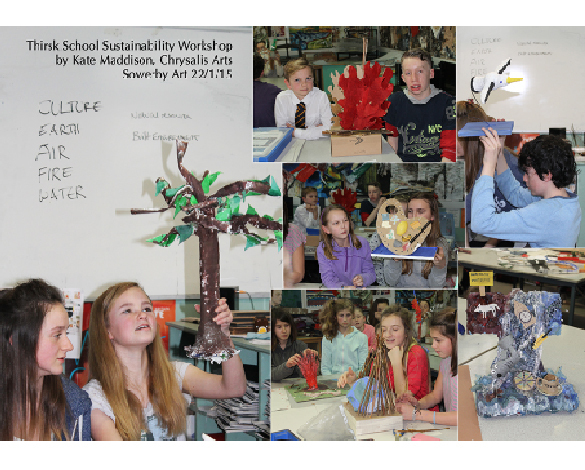 Thirsk School hosted three ‘enlightenment’ and workshop days with Hilary Cartmel and Kate Maddison who worked with 157 pupils and staff in January and March 2015 and February 2016. 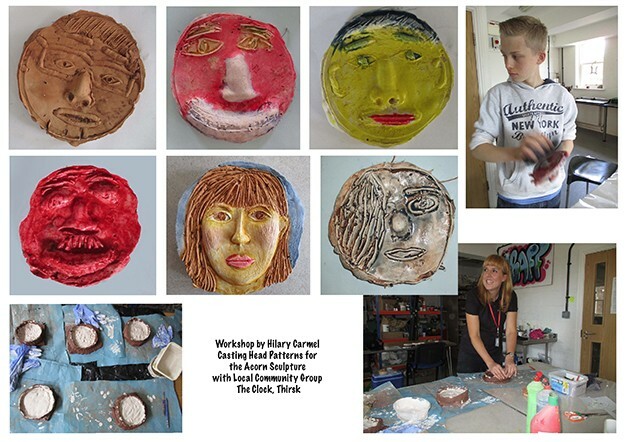 From April to June 2015 there has been a Community Programme with opportunities for local groups and schools to participate in workshops led by artists; Andrew Dalton, Helaina Sharpley, Stef Mitchell. 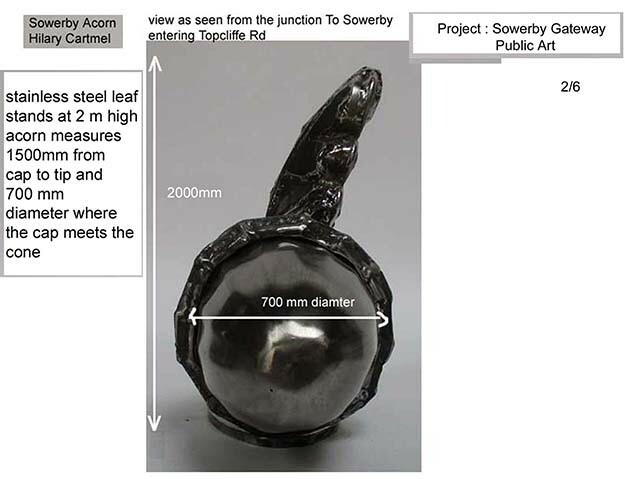 There have been 409 participants in the workshop process and many more people have seen the artwork progress through displays at Rural Arts, Thirsk Library, Thirsk Garden Centre and the hoardings at the junction of Gravel Hole Lane and Topcliffe Road, Sowerby Gateway. 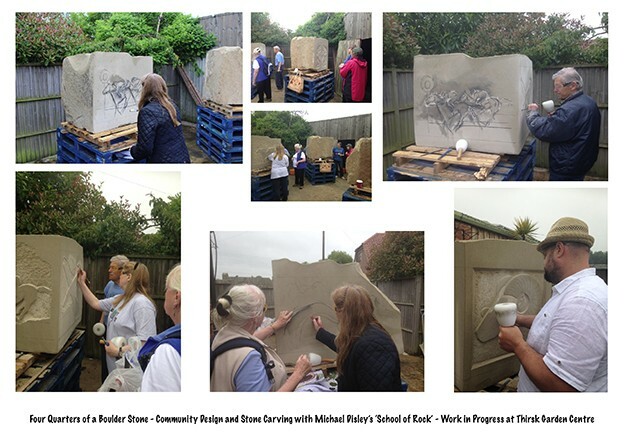 Many enthusiastic participants of all ages took part in a stone carving taster day with Michael Disley and the resulting 29 stones with a variety of designs were displayed in Thirsk Garden Centre’s cafe garden area. 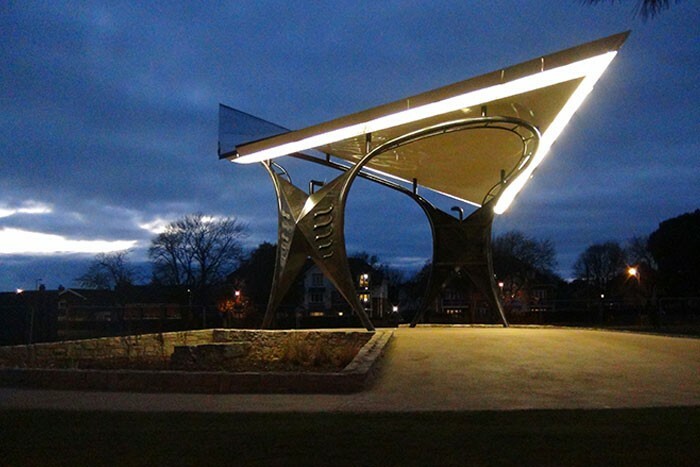 Kate Maddison created Caddow 2015 to celebrate Bolton’s new Transport Interchange and mark the centenary of the last known manufacture of a Caddow by a Bolton hand-weaver in 1915. 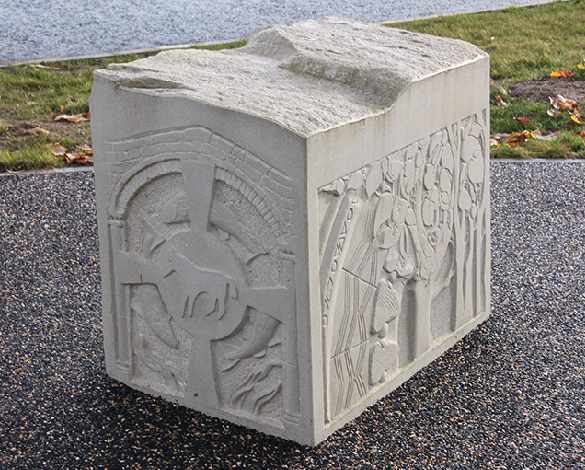 Bolton Counterpanes or ‘Caddows’ are part of Bolton’s social history commemorating the milestones of life. 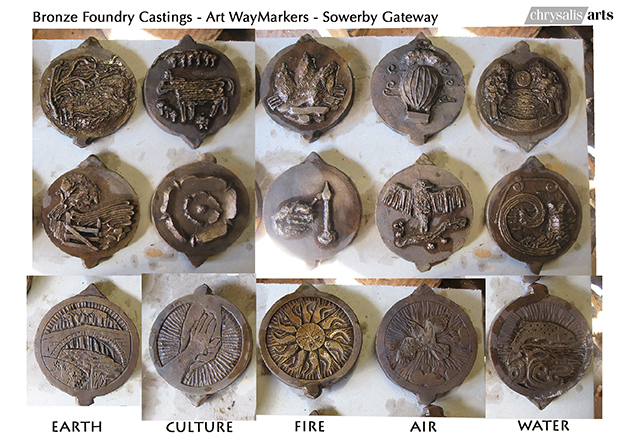 The Great Exhibition Caddow celebrated ‘the works of industry of all nations’ and was displayed at Crystal Palace in 1851. 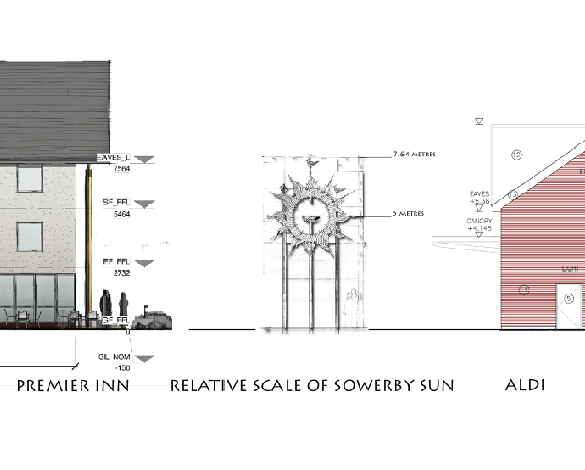 Paxton’s pioneering architecture heralded a new age of glass and steel construction visible in Bolton’s historic Market Hall 1855 and still relevant today. 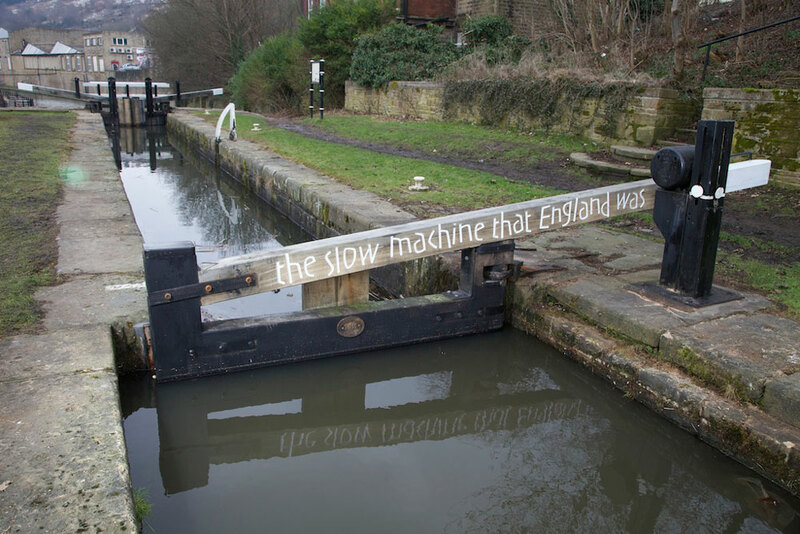 Displayed at the entrance to Bolton Interchange, the printed artwork Caddow 2015 is overlaid onto an image of the Great Exhibition Caddow on which the design was based. 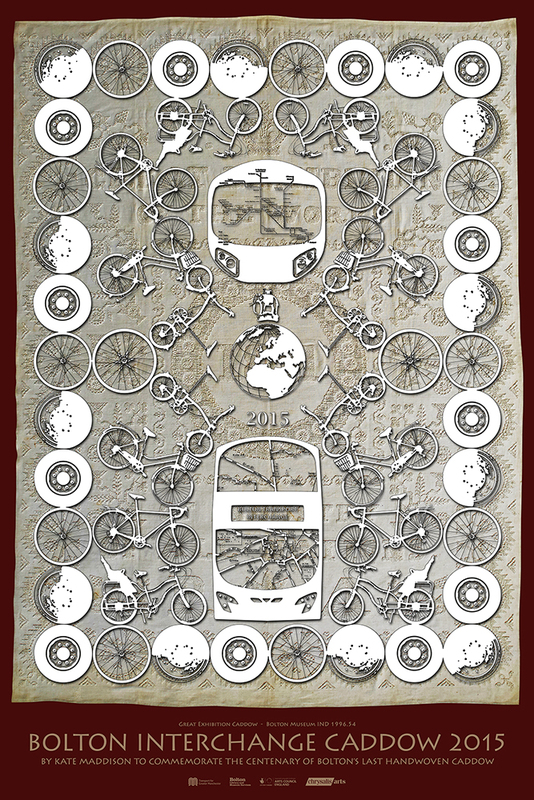 Kate Maddison of Chrysalis Arts was appointed lead artist for Bolton Transport Interchange, an art/architecture and digital art project for Transport for Greater Manchester involving Bolton University, Bolton Museum, Bolton Council and the local community. 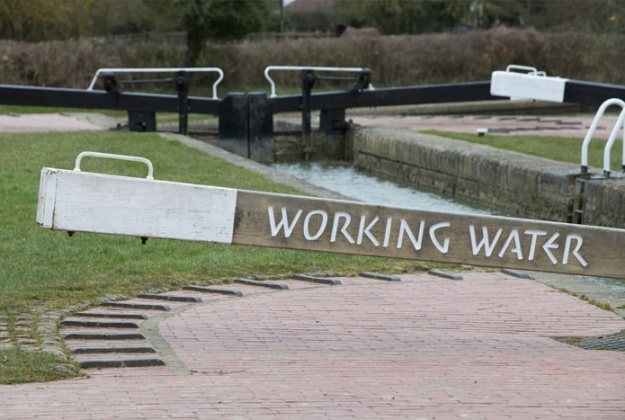 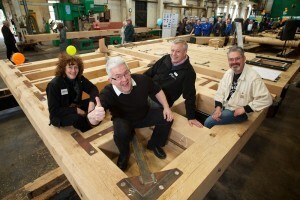 A public art project developed by Chrysalis Arts for a series of commemorative lock gates created with a sculptor and three poets working with the Canal and River Trust to celebrate the inauguration of the new charity entrusted with the care of 2,000 miles of waterway in England and Wales. 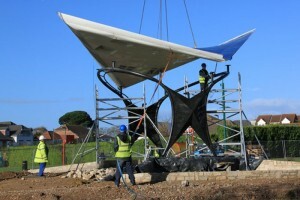 Commissioned and installed by Canal & River Trust. 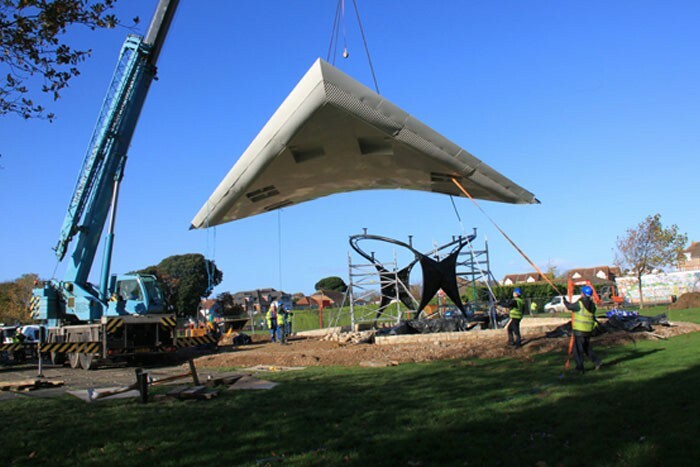 The Performance Pavilion is an original design by Kate Maddison of Chrysalis Arts that was commissioned by New Forest District Council and created in collaboration with blacksmith/ fabricators Chris Brammall Ltd and the Council’s landscape architects. 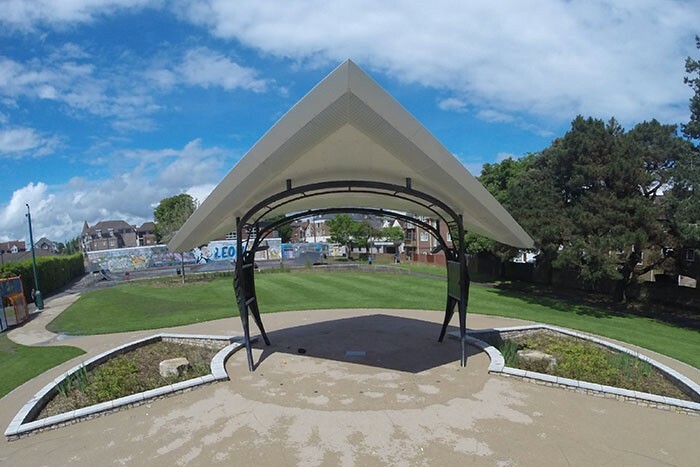 The Pavilion is a spectacular and elegant structure providing a covered performance space at a raised level to the surrounding recreation park with new landscaping and paths to improve access and enhance this dramatic amenity. 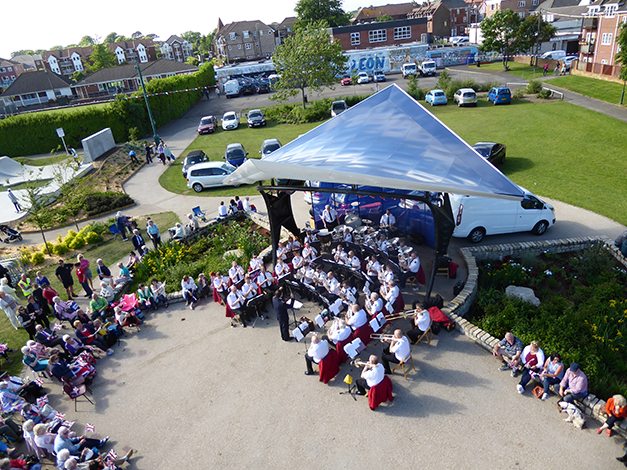 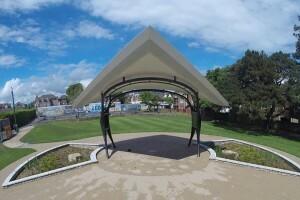 It provides a facility for seasonal performance, music, drama, dance, shows, exhibitions, outdoor gym classes, cultural events, and is a permanent park shelter and meeting point. The Pavilion structure has the geometry of an eight-meter square over-laid on an eight-meter diameter circle. 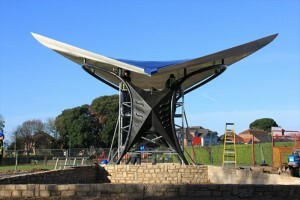 The square roof arches in two directions, the resulting shape is reminiscent of a leaping manta ray with two raised and two lowered corners. 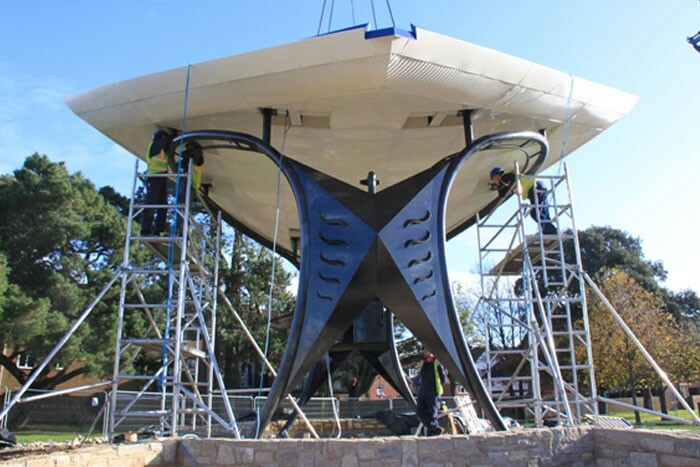 The raised convex curves of the pavilion create two natural focal points in opposite directions allowing directional performance either side. The design is inspired by New Milton’s close proximity to the sea and appears like a Giant Manta Ray to have leapt from the sea, this metaphor is reflected in the landscape surrounding the pavilion. 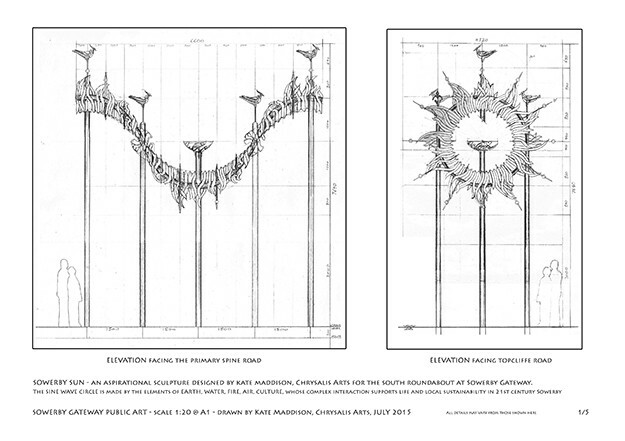 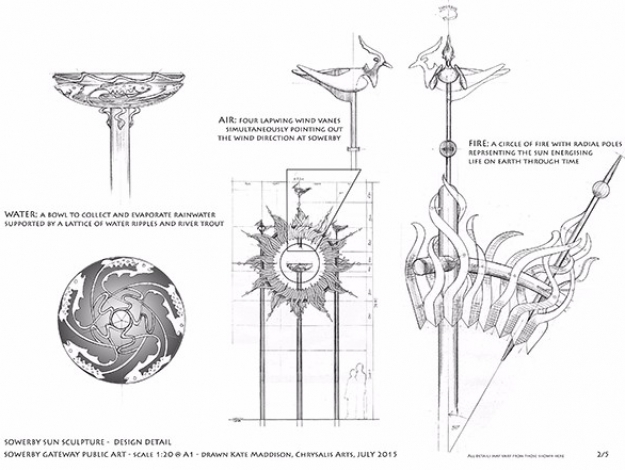 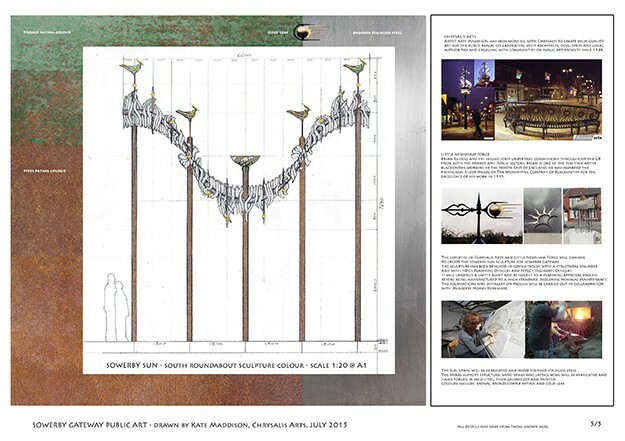 The concept design by Kate Maddison was proposed by Chrysalis Arts and selected through a design competition. It was manufactured and installed by specialist metalwork company Chris Brammall Ltd. 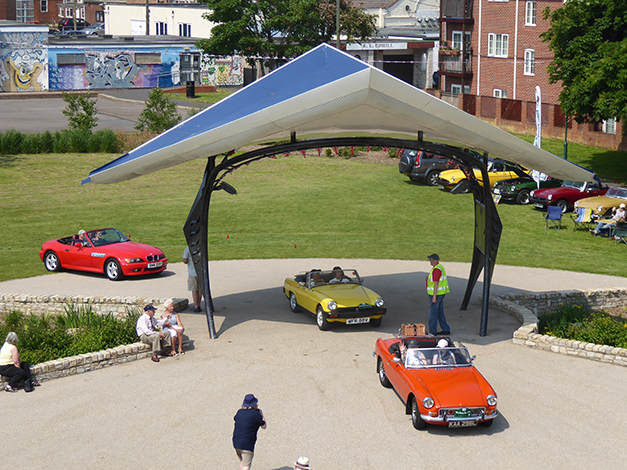 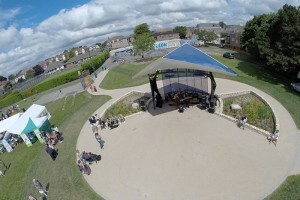 The pavilion was commissioned by New Forest District Council on behalf of New Milton Town Council.